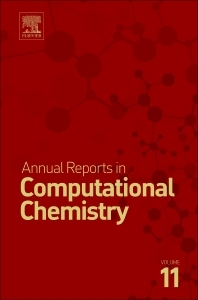 Annual Reports in Computational Chemistry provides timely and critical reviews of important topics in computational chemistry as applied to all chemical disciplines. Topics covered include quantum chemistry, molecular mechanics, force fields, chemical education, and applications in academic and industrial settings. Focusing on the most recent literature and advances in the field, each article covers a specific topic of importance to computational chemists. Dr. David A. Dixon was born in Houston Texas on Dec. 3, 1949. He received a B.S. in chemistry from Caltech in 1971 where he did undergraduate research in x-ray crystallography and ion cyclotron resonance spectroscopy. He received a PhD from Harvard in physical chemistry in 1976 where he worked on molecular orbital theory with Prof. William Lipscomb and crossed molecular beam chemistry with Prof. Dudley Herschbach. 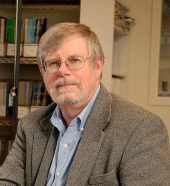 He has been the Robert Ramsay Chair the Department of Chemistry at The University of Alabama since January 2004. The overall goal of the work in his research group is to develop computational chemistry approaches on advanced computer systems and then apply them to address a range of important national problems with a focus on energy and the environment. Important research areas include heterogeneous and homogeneous catalysis including acid gas chemistry and biomass conversion, geochemistry and mineral surfaces, biochemistry of peptides for anion-based proteomics, heavy element chemistry for environmental cleanup and advanced nuclear fuel cycles, chemical hydrogen storage materials, and fluorine and main group chemistry. Prior to moving to Alabama, he was Associate Director for Theory, Modeling, & Simulation in the William R. Wiley Environmental Molecular Science Laboratory at the Pacific Northwest National Laboratory from 1995 to 2002 and a Battelle Fellow from 2002-2003. He was the leader of the Molecular Sciences Computing Facility in the EMSL as well as a computational chemistry and biology groups. His research at PNNL involved using computational methods to solve environmental problems facing the Department of Energy nuclear weapons production complex. He spent 12 years at DuPont’s Central Research focusing on hydrofluorocarbons as chlorofluorocarbon replacements, fluoropolymers, catalysis, metal oxides, and main group chemistry in support of the Company’s different businesses. He has received a number of awards including being a Junior Fellow at Harvard, Sloan Fellow, Dreyfus Teacher-Scholar, the 1989 Leo Hendrik Baekeland Award of the American Chemical Society, a 2000 Federal Laboratory Consortium Technology Transfer Award, the 2003 American Chemical Society Award for Creative Work in Fluorine Chemistry, a 2010 DOE Hydrogen Program R&D Award, the 2011 Burnum Award from The University of Alabama, the 2012 University of Alabama SEC Faculty Achievement Award, and the ACS Division of Fluorine Chemistry Distinguished Service Award in 2015. He is a Fellow of the American Association for the Advancement of Science, the American Physical Society, the American Chemical Society, and the European Academy of Sciences.